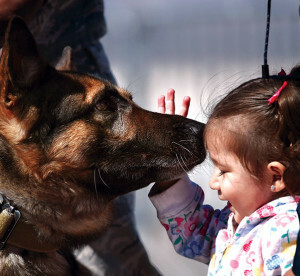 A military working dog interacts with a Creech family member during Family Day at Creech Air Force Base, Nev., March 1. 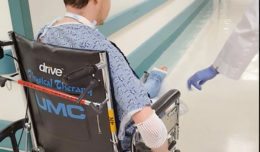 A MWD demonstration was one of several events that took placeduring the event. CREECH AIR FORCE BASE, Nev. — Creech Airmen and their families were honored with a Family Day here, March 1 that highlighted the missions of the 432nd Wing/432nd Air Expeditionary Wing and the 799th Air Base Group. The event provided an opportunity for military members to educate, inspire and spend time with loved ones. It wasn’t all business though; Creech Airmen provided a plethora of events for families to enjoy, including demonstrations from the local fire department, military working dogs, USO support, a variety of Airman and Family Readiness Center functions and work center tours. Relatives were also able to view the MQ-1 Predator and MQ-9 Reaper remotely piloted aircraft up close. 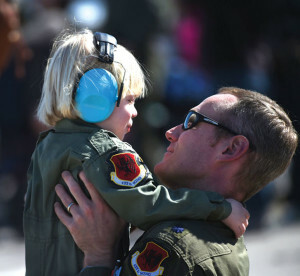 For many Airmen, this was the first time they were able to share this type of experience with their children. 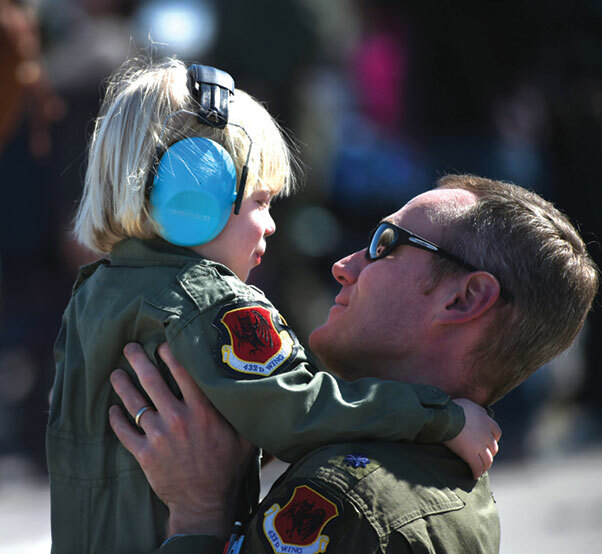 An Airman with the 432nd Wing/432nd Air Expeditionary Wing embraces his child during Family Day March 1 at Creech Air Force Base, Nev. Airmen and their families participated in the ‘Family Day’ to educate, inspire and spend time with loved ones. Still, planning such a venue proved to be challenging. In all, about 400 Airmen and their families attended the day’s events. For others, the occasion was one they would help put together again, if it meant providing families left behind during deployments an opportunity to be included.